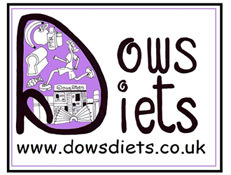 Dows DietsNewsOverweight Children. Are we struggling to recognise the scale of the problem? Overweight in Children: Are we struggling to recognise the scale of the problem? Parents and health professionals are failing to recognise children who are overweight or obese1 . This has also been shown in the publication of findings from the Growing Up in Scotland (GUS) Study. Many parents whose children were overweight or obese did not feel that it was a concern2. As a nation we are getting fatter. The majority of the adult population, and a third of children are either overweight or obese3. These figures are rising, and this is predicted to continue3,4. It can be difficult to tell if a child is overweight as they may be very similar to other children their age. Rather than relying on judgments, it is important that children are weighed and measured accurately. If a child is overweight or obese it means they have a level of body fat that is harmful to their health. It is defined as a body mass index (BMI) (weight/height 2) for age more than the 85th percentile in children’s growth charts. Percentiles are a way comparing children’s BMI with other children of the same gender and age. Overweight children tend to become overweight adults. This increases their chances of developing type 2 diabetes, high blood pressure, heart disease and, back and joint problems. Recent reports have shown that teenagers who are overweight and obese are between 2 and 6 times more likely to develop gallstones compared to their normal weight peers5. The younger these diseases develop the more impact it has on adult health. There are also psychological effects of being overweight or obese which can lead to a low self-esteem in children. Children are weighed and measured in many schools in the UK. This can happen around 5 years old, and then again around 10 years. A BMI centile is then calculated, and children categorised into one of 4 categories; underweight, healthy weight, overweight or obese. It is important that parents are aware of their child’s BMI and what it means to them. This can encourage families to make changes in the home to prevent further weight gain. Many overweight children have overweight parents4. The GUS study goes further to suggest that children were more likely to be overweight if their mothers were overweight 2. It is often a matter of family lifestyles. Children were more likely to be overweight or obese at 6 years old if they snacked on crisps and sweets as a toddler, they regularly missed breakfast and also if the children had a low level of physical activity and spent more than 3 hours a day in front of a screen watching TV or playing on a computer2. Offering help to those families of overweight children has been shown to help prevent further weight gain5. Dietary changes that can be made to prevent excess weight gain are to; eat more fruit and vegetables and, less sweets, chocolates, crisps or biscuits. Children should be achieving at least 60 minutes of activity daily such as walking, running, cycling and playing outdoor games. The time spent in front of the computer, television or electronic games should be limited to less than 2 hours daily2. 1.Parry , L.L, Netuveli, G., Parry J. and Saxena S (2008). A systematic review of parental perception of overweight status in children. J Ambul Care Manage. 31, 253-268. 2.The Scottish Government. Growing Up in Scotland (GUS). 3.The Scottish Health Survey 2008. A national statistics publication for Scotland. The Scottish Government, Edinburgh 2010. 4.Foresight (2008). Tackling obesities: Future Choices-project report (2nd edition). London. Government office for science.